Great teamwork is truly one of the greatest competitive advantages a company can have! Most organizations believe that their product, technology, service, strategy, etc. is what sets them apart from the competition. 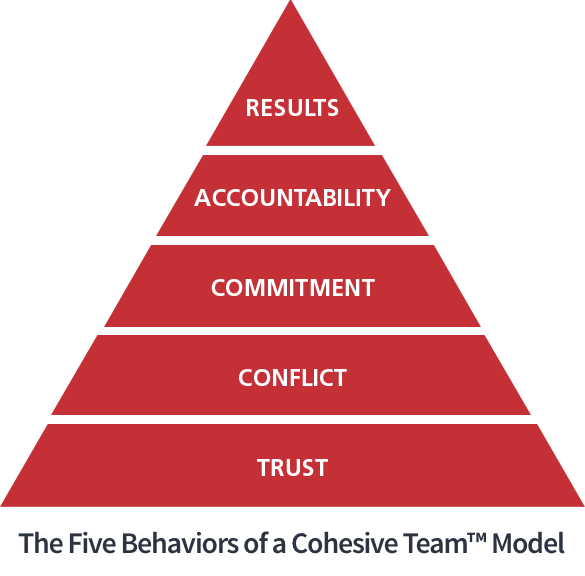 We believe that while those things are important, when an organization focuses on getting people working together on productive, cohesive teams, they will accomplish great things, and that teamwork may be an organization’s ultimate competitive advantage. Getting people to work together as a cohesive team is hard work, but it will pay off! Getting people to work together as a cohesive team is hard work, but it will pay off! Trust is the foundation of our model. We believe that only when you have a foundation of trust on a team can team members have healthy debate and conflict. Engaging in unfiltered, constructive debate of ideas is a key component of a cohesive productive team! If you are an Everything DiSC® client consider this! When we add in the Everything DiSC® Model, team members really begin to understand each other’s behaviors, and can move from judging to respecting, to valuing those differences by understanding the DiSC® styles and how they impact teamwork and communication! 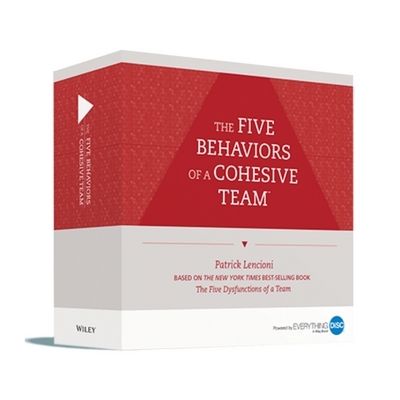 Contact us about The Five Behaviors of a Cohesive Team™ Facilitator Kit for All Types or Everything DiSC®! If you have a team that is dysfunctional and is ready to undergo a complete transformation click below to request a consultation with our experts! Request demo or more information here.